The occipital lobes a found at the back of the brain, and they are one of the four main regions of the brain’s cerebral cortex. The occipital lobes play a critical function in the reception and interpretation of sensory stimuli coming from the eyes. In other words, they are the main regions where visual stimuli is processed. While the occipital lobes are the main processing centers for visual stimuli, they aren’t the only brain regions involved in visual perception. The temporal lobes and parietal lobes also contribute to the processing of visual stimuli. The occipital lobes are found at the back of the brain, directly inferior to the parietal lobes and posterior to the temporal lobes. They are found within the brain’s largest division, the forebrain. There is one occipital lobe in both hemispheres of the brain. 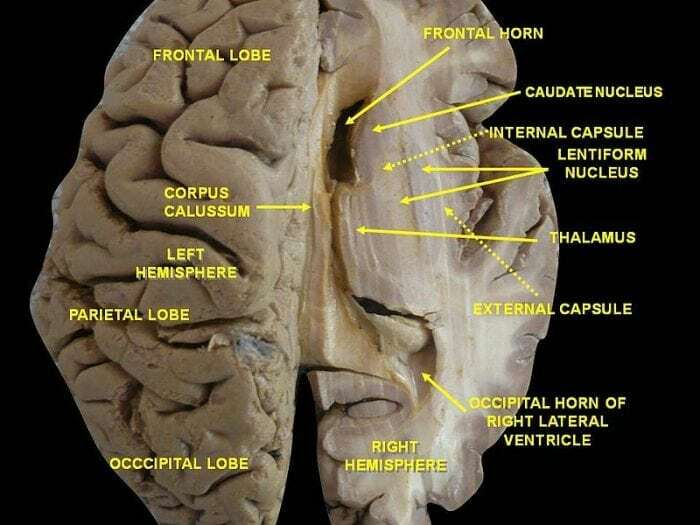 Within the occipital lobe is a region known as the primary visual cortex, which is responsible for collecting visual stimuli from the retina of the eye. These signals move through the visual cortex and are then interpreted by the brain. The occipital lobes are responsible for key visual functions including reading, reading comprehension, color recognition, visual perception, recognition of movement, and depth perception. The occipital lobes interpret and receive visual stimuli, which is made possible by the detection of refracted light by the eye. The eyes absorb this reflected light and transfer it to the visual cortex using a complex system of nerve pathways and electrical impulses. The visual cortex processes the information fed to it by the eyes, then interprets this information into the shapes and colors that make up our perception of the world. Through this system, we identify shapes, colors, and objects. These translated packets of information are then sent off to the temporal lobes and the parietal lobes where they are further processed. When a child is born the occipital lobe starts to function and help the child interpret the world around it. Vision becomes more sophisticated and more acute as the baby grows and it’s occipital lobe develops. The ability to understand and categorize images perceived by the brain also increases as the child ages. The occipital lobe is not merely responsible for the recognition of visual stimuli. The ability to differentiate between different shapes and distinguish various objects from one another is also centered in the occipital lobe. The processing of shapes and geometrical features is necessary for us to navigate the world, as if the brain could not distinguish very shapes from one another, it would be impossible for people to do things like read. 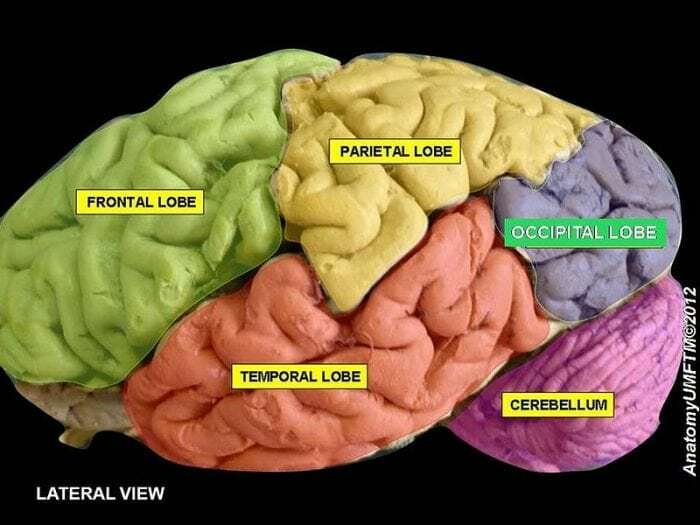 The parietal lobes utilize the received visual information along with information about motor processes to perform tasks that enable you to interact with the surrounding world, such as picking up an object or throwing a ball. Meanwhile, the temporal lobes are what are responsible for taking the received visual information and syncing it up with your brain’s memories. The functions of the occipital lobe are usually categorized into one of a few different visual regions. These regions aren’t distinguishable through anatomical means, rather they are distinguished by physiologists who use electrodes to map regions of activity in the brain. Among the visual areas recognized by physiologists are: the primary visual cortex, the ventral stream, and the dorsal stream. The primary visual cortex handles basic descriptions and recognition of things like orientation, color properties, and spatial frequency within various receptive fields. The primary visual cortex then sends information to the nearby areas of the brain like the dorsal stream and the ventral stream. The ventral stream is made up of visual areas V2 and V4. The occipital areas of the dorsal stream are made up of visual areas V3 and V5, as well as the dorsomedial area. The ventral stream might be said to handle the “what” in regards to the processing of visual stimuli because it provides information necessary for the identification and categorization of items stored in memory. Meanwhile, the dorsal stream could be said to handle the how/where of vision, enabled by the information stored in memory to focus on motor actions that are carried out in response to the perceived stimuli. While the two systems – the dorsal stream and the ventral stream – are in separate regions from one another, there is evidence to imply that both systems are needed for successful visual perception. For instance, experiments which tracked shape perception found that the perceiving of shapes seems to be carried out in both streams, even though the location the processing happens in is within the dorsal stream. Since the occipital lobe is responsible for the processing of visual information, damage to the occipital lobe can easily result in various vision-related disabilities or temporary problems. A loss of vision, distorted visual perceptions, the inability to identify words, an inability to identify colors, as well as visual hallucinations, can all result from damage to the occipital lobe. For instance, a disorder known as occipital lobe epilepsy can cause hallucinations such as witnessing the same image appear within one’s visual field over and over. Damage to the occipital lobe can also cause involuntary eye movement, uncontrollable blinking, eye pain, and seizures. The other lobes of the brain are the frontal lobe, the parietal lobe, and the temporal lobe. The frontal lobe, as the name implies, is located at the front of the brain and is responsible for things like motor skills, reasoning, self-control, and higher-level thinking. 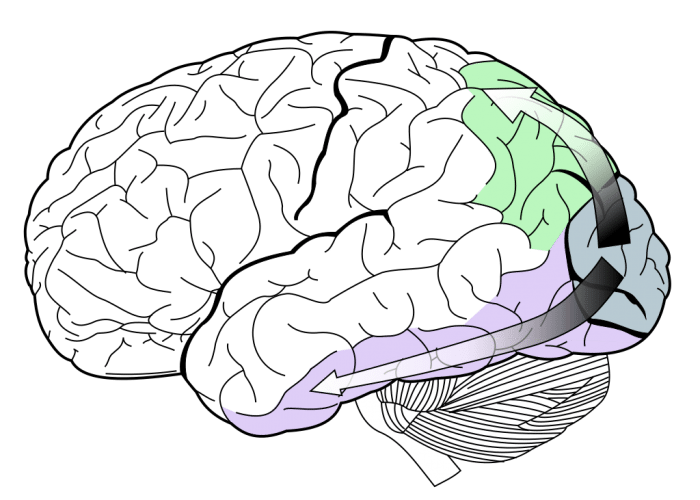 The parietal lobe is located in the upper middle part of the brain and is primarily responsible for the processing of sensory information like pain and touch. The somatosensory cortex is found in this region, and it is pivotal to the handling of sensory stimuli received from the entire body. The temporal lobe is home to the primary auditory cortex, and it is located on the bottom of the brain. The primary audio cortex is responsible for processing language and interpreting sounds. The hippocampus is also found here, which plays a large role in the formation and retrieval of memories. Previous Post« Previous How Will Future Effects Of Global Climate Change In Our Oceans Affect Seaweed?